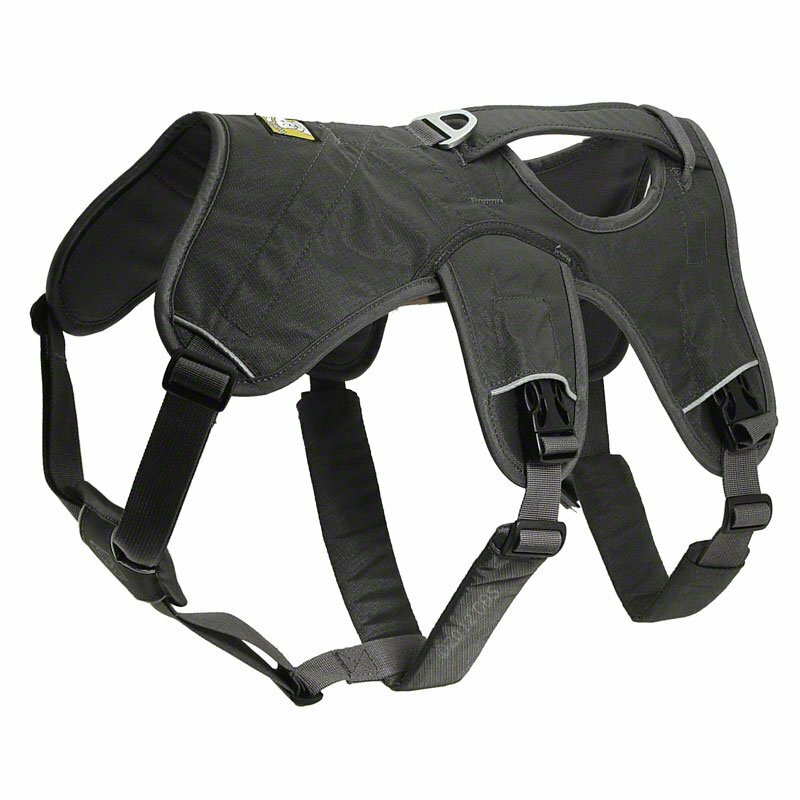 CLOSEOUT -- Ruff Wear Web Master Harness. $59.95. Easy on and off, allows easy assist in lifts, and Jasper says it is comfy on his old bones. My dog wears this on a daily basis. It has several points of contact (all adjustable) so his weight is distributed more evenly when pressure is exerted on the harness; it is the most comfortable harness I've been able to find. It is also very durable. It is made from super tough materials, cleans up easily and allows me to help Little Wing in adverse conditions without hindrance to his mobility. 5 stars, most definitely! Ruff Wear's Web Master Harness is a supportive, multi-use harness for dogs, designed for maneuvering and assisting dogs up and over obstacles. The WebMaster is the preferred dog harness used by many avalanche rescue dog teams in the United States. This harness is a great alternative to a collar and is ideal for hiking, scrambling, and mobility assistance. Secure design for even the best "Houdini Dog"